To see how we frame shirts click this button now! 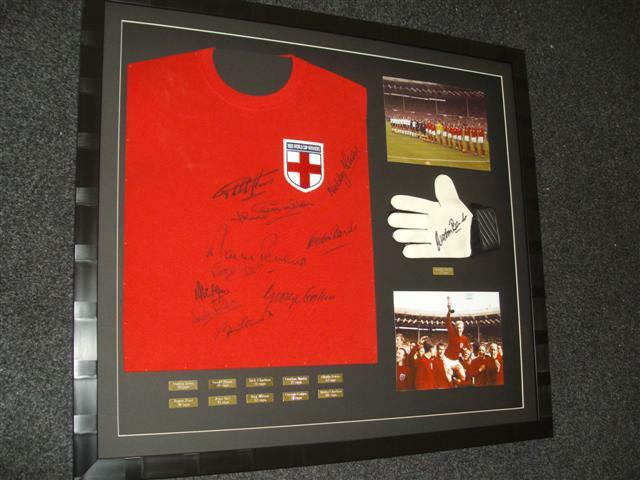 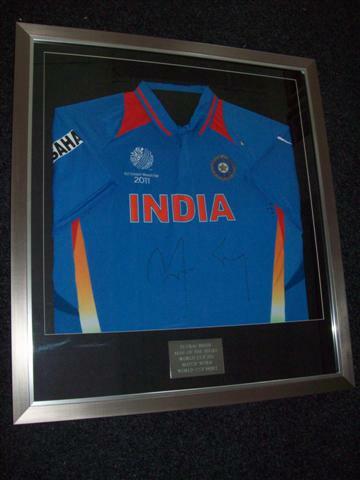 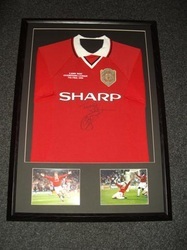 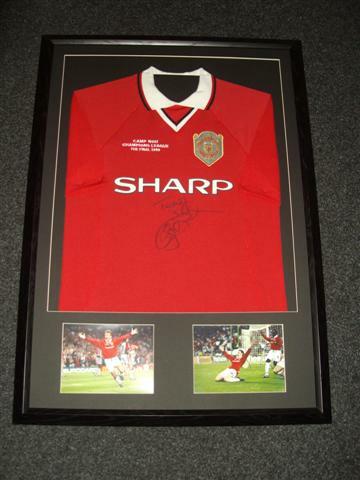 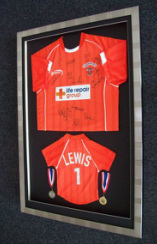 Have your sports shirt framed today. 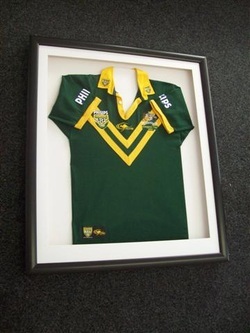 For a great boost this year, if you are looking to have your football shirt, your rugby shirt, or any shirt framed for that matter, then you have come to the right place at the right time. 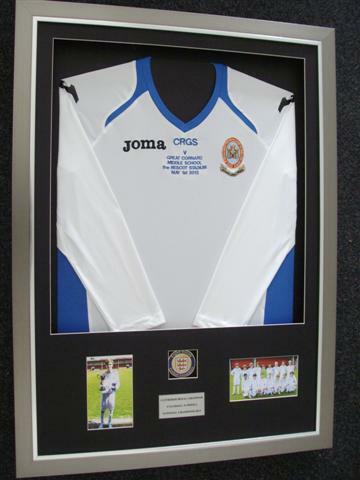 Our method of framing shirts is gentle and fully reversible, with your shirt remaining in its original condition, thus preserving its inherent value. 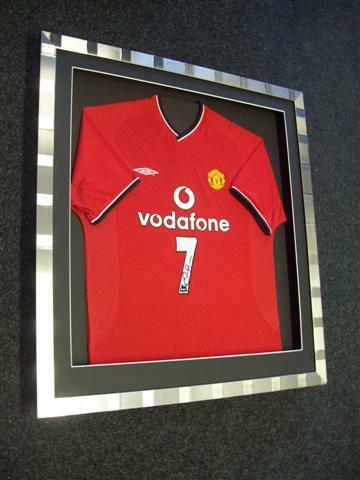 We do NOT use glues nor staples nor any form of adhesive tapes when framing your shirt. 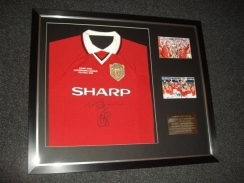 Our standard set price all inclusive shirt framing model is great value at £109-00 although you will see our great discounted offers where you can have your shirt framed at a greatly reduced price. 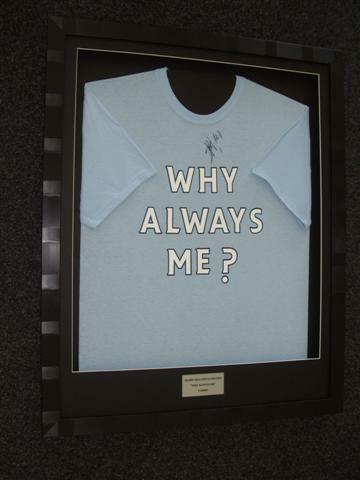 Have your shirt framed and mounted on its own in a plain black frame,with choice of colour for front surround mount and rear background mount,without supplied plaque or any extras such as your COA, ticket stub or team photo for an investment of just £79-00. 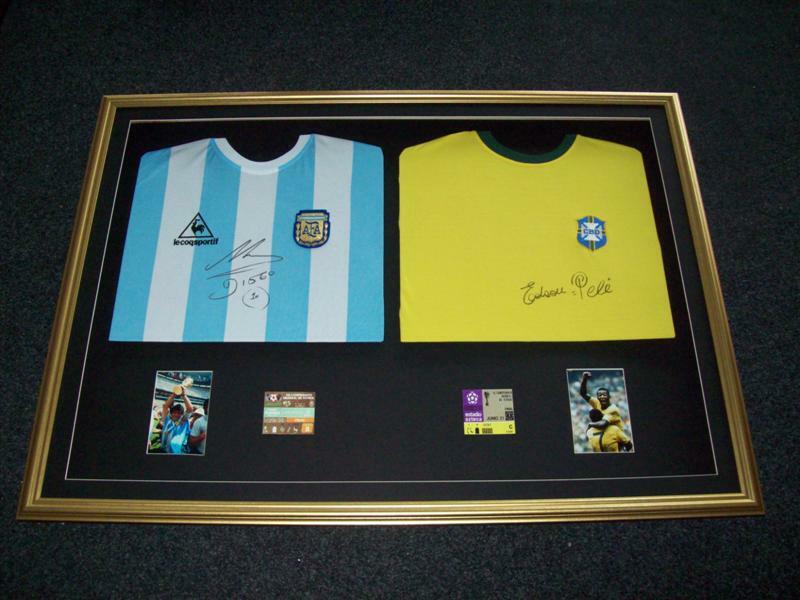 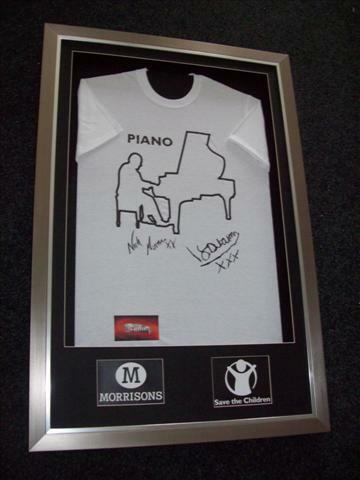 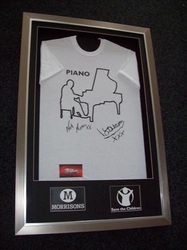 Have your shirt framed similar in a choice of frame for just £89-00. 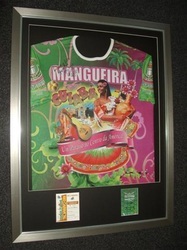 Having you your shirt framed in choice of frame with choice of background mount colours and front surround mount colours along with plaque, supplied by us and/or or up to four of your reasonably sized additions, such as photos or ticket stubs will be just £99-00. Your shirt framed on its own in plain black frame. Your shirt framed on its own in your choice of frame. Your shirt framed in black or silver including up to 4 of your reasonably sized photos. Your shirt framed in your choice of black or silver frame with up to 4 of your reasonably sized photos along with a metal engraved plaque. 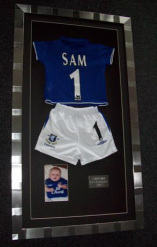 Have 2 of your shirts framed together in 1 frame along with up to 4 of your photos along with a metal engraved plaque.